What are the advantages of digital CCTV? The most obvious advantage of digital cameras is that they can capture and store clear high definition and wide angle video feeds. The quality of the video allows you to easily to see what is happening in and around your site. The camera’s clear images allow your business to pursue charges against any individuals who are caught stealing or vandalising your property. You will be able to provide law enforcement with quality images to be used in the prosecution of these criminals. As a result, you will have a strong deterrent against individuals taking these actions in the first place. Modern digital surveillance systems are quite easy to install, especially relative to their older analogue counterparts. These systems also require less cameras overall to view the same area thanks to the wide angle feeds. They require much less cabling and do not require bulky tapes and all the equipment of previous models. Overall, this means that modern digital CCTV systems require less work to install and maintain, meaning a lower impact on your bottom line. Additionally, you will be able to more effectively monitor your surveillance system as the feeds can be viewed from any location and the footage is compressed with a lossless algorithm, meaning you can store more video on your hard drives without losing any quality. An often overlooked but quite useful feature is the ability to remotely monitor your video feeds. You can monitor the activity on your surveillance feeds from anywhere in the world, as long as you have a connection to the Internet and a desktop, mobile device, laptop or tablet. You can log in to your security system from any of these devices and view live streams or access archived footage. Digital video surveillance is more cost-effective than its analogue counterpart. A digital system requires less physical infrastructure than an analogue system. Since digital cameras produce higher quality images with wider viewing angles, your business will need fewer cameras to cover the same space. And digital feeds can be compressed and stored using less space than analogue video. Then there is scalability. As your coverage area grows, a digital system can easily grow with your company one step at a time. 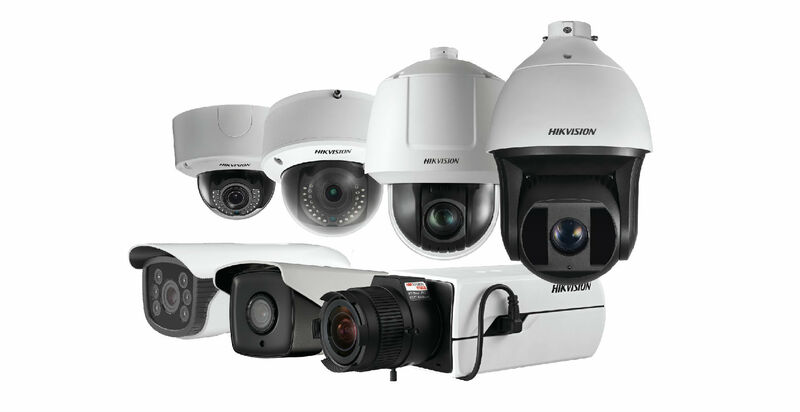 Digital cameras can be added as needed and easily integrated into the network with little hassle.